AACTE stands for American Association of Colleges for Teacher Education. 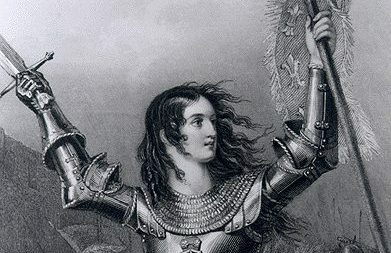 Have you heard of the AACTE? American Association of Colleges for Teacher Education. Their main goal? Prepping the next generation of teachers to lead in the classrooms. So, how aligned with Common Core programs are they? Let’s see if we can find out in today’s “From the Files” article. Founded in 1948 (their 50th anniversary was 1998, in celebration of that, a rather comprehensive book was put together and was said to be free to download for members only.) Included in the book are the future plans of the group as well as their past. Other downloads like the global view of early education, USA and UK education reform, and more innovation via education are on the site as well, but members only. You’ll want to check out the Board of Directors for AACTE, as it is comprised of leaders from various colleges across the USA, so be sure to check to see if your alma mater has become a part of this group OR if the post-secondary school of choice for your students is on this list. Research didn’t prove successful for funds coming from the usual CCSS sources. 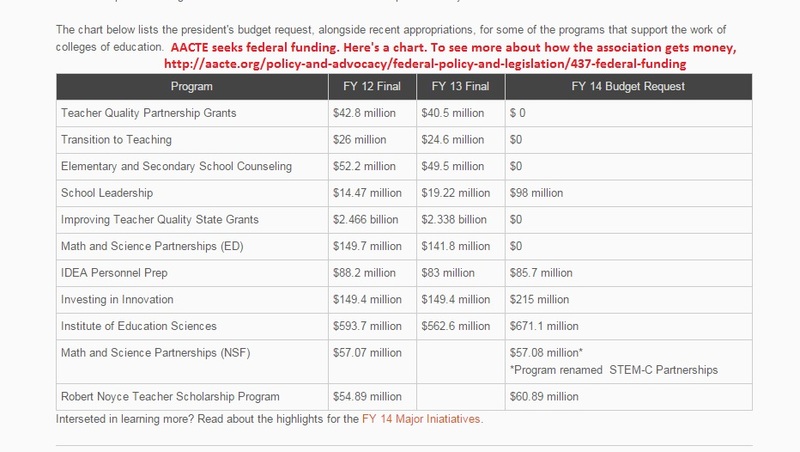 What’s really interesting is the PDF I found from 1969 which states AACTE is a voluntary consortium. So how do they receive federal money? Big question..no easy answer, from what I can find. Here’s the document for you to have. Maybe you can glean the answer for yourselves. ED034722 I can tell you from the sounds of things, it reeks of another P3 (public private partnership), however, after extensive searching I can neither confirm nor deny this possibility. 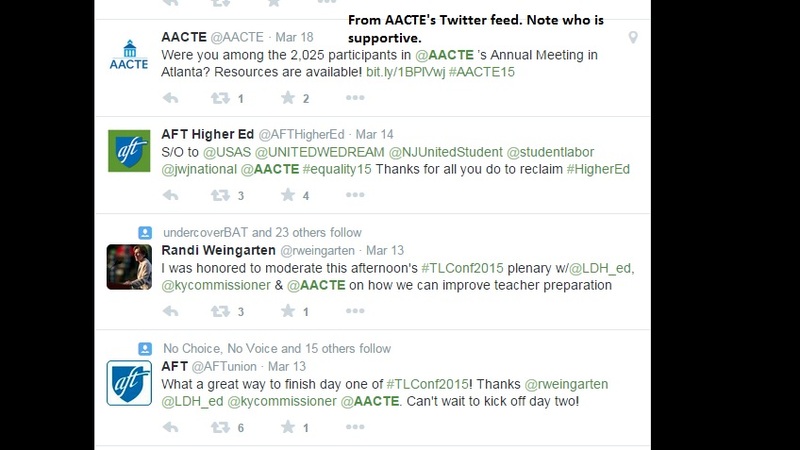 To see who likes to work with AACTE, be sure to check out this screen shot, then head to Twitter for more. One more thing, if you’d like to see the 2015 promo that AACTE has on You Tube, it’s below. Freeze the video when you get to the sponsors of the conference which just wrapped up. See how quickly you can connect the CCSS dots between these sponsors.